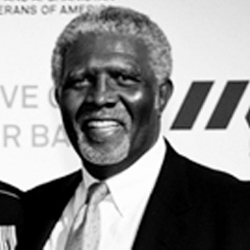 Wayne is an accomplished veterans advocate who has worked with war veterans for nearly four decades. A native of Providence, Rhode Island, he was an altar boy and choirboy. After serving nearly 18 months in Vietnam as a combat medic, Smith overcame his own wartime trauma before becoming a nationally recognized mental health therapist and advocate for war veterans. Smith has led educational programs about veterans and the causes and consequences of war, and helped raise more than $2 million for the Vietnam Veterans Memorial Fund. In 1998, Smith returned to Vietnam with 20 American veterans to promote peace and reconciliation. Together with 20 Vietnamese soldiers, these former enemies rode bicycles 1,200 miles, from Hanoi to Ho Chi Minh City, to help heal some of the wounds of that war. Smith is one of the veterans featured in the Emmy Award winning documentary about the experience.